Ferguson was appointed manager of Manchester United in November 1986. During his 26 years with Manchester United he won 38 trophies, including 13 Premier League titles, five FA Cups, and two UEFA Champions League titles. 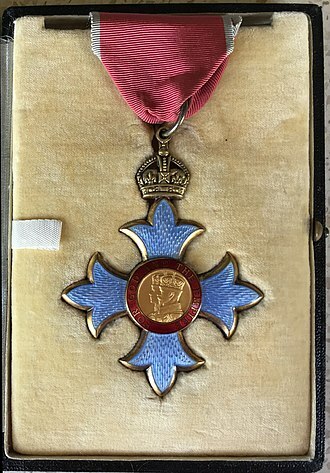 He was knighted in the 1999 Queen's Birthday Honours list, for his services to the game. 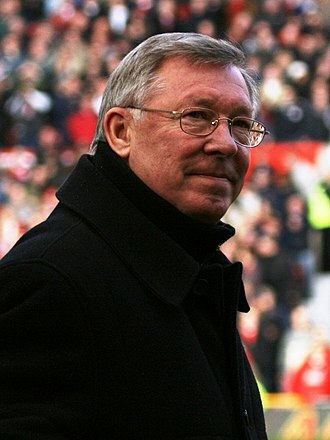 Ferguson is the longest serving manager of Manchester United, having overtaken Sir Matt Busby's record on 19 December 2010. He retired from management at the end of the 2012–13 season, having won the Premier League in his final season. Ferguson's playing career began as an amateur with Queen's Park, where he made his debut as a striker aged 16. He described his first match as a "nightmare", but scored Queen's Park's goal in a 2–1 defeat against Stranraer. Perhaps his most notable game for Queen's Park was the 7–1 defeat away to Queen of the South on Boxing Day 1959 when ex-England international Ivor Broadis scored four of the Queen of the South goals. Ferguson was the solitary Queen's Park goalscorer. 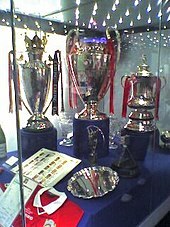 United won their fourth league title in five seasons at the end of the 1996–97 campaign, made easier by the fact that their rivals were "not up to the job". Under Ferguson, the team made a better go in the Champions League and reached the semi-final stage for the first time in 28 years. United did not advance any further, after defeat by Borussia Dortmund of Germany. Norwegian signings Ole Gunnar Solskjær and Ronny Johnsen were the notable additions to the squad, with the former ending the season as the club's top goalscorer. In May 1997, Cantona informed Ferguson of his decision to retire from football. The player "felt exploited by United's merchandising department" and questioned the ambition of the club, reasons which Ferguson understood. Striker Teddy Sheringham was signed as Cantona's replacement from Tottenham Hotspur, with Blackburn defender Henning Berg the other significant purchase that summer. In the close season, United appointed Keane as their new captain. Ferguson described him as "the best all-round player in the game" after the team's 1997 FA Charity Shield win and believed Keane had "all the right ingredients" to succeed from Cantona. United suffered their worst start to a season under Ferguson, drawing their first two league games before suffering a 1–0 defeat by local rivals Manchester City. United, however, recovered and began a tight race with Arsenal for the title. After a good run of form, Ferguson claimed that throughout his time at Manchester United, this was the best squad he had managed to assemble thus far. 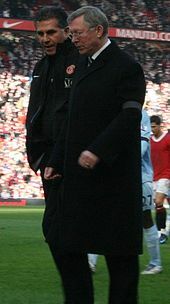 Although the team had a slow start to the 2008–09 season, United won the Premier League with a game to spare, making Ferguson the first manager in the history of English football to win the Premier League three times consecutively, on two separate occasions. 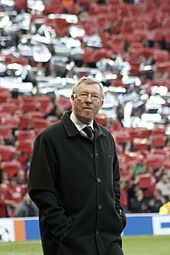 Ferguson had now won 11 league titles at Manchester United, and the 2008–09 season title success put them level with Liverpool as league champions on a record 18 occasions in total. 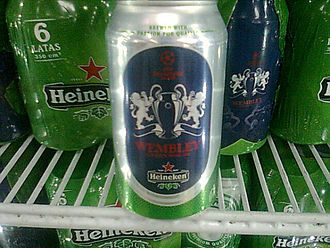 They also won the League Cup on penalties after a goalless Wembley draw with Tottenham. In 2009–10, Ferguson added another League Cup to his honours list as United defeated Aston Villa 2–1 in the Wembley final on 28 February 2010. However, his dreams of a third European Cup were ended a few weeks later when United were edged out of the competition in the quarter-finals by Bayern Munich on away goals. And their hopes of a record 19th league title were ended on the last day of the season when Chelsea beat them to the Premier League title, crushing Wigan Athletic 8–0 and rendering United's 4–0 win over Stoke City meaningless. He ended the season by winning his 12th and Manchester United's 19th league title and thus overtaking Liverpool's record of 18. 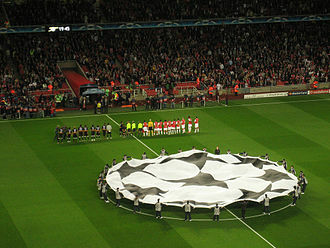 Manchester United faced Barcelona again on 28 May 2011 in the 2011 Champions League final, their third in four years, but United lost 3–1. Analyst Alan Hansen stated that he believed Ferguson was "the key component" in United's success that season, so key in fact that "[he] would have claimed the crown with any of the other top sides had he been in charge of them". With Edwin van der Sar, Gary Neville and Paul Scholes all retiring in 2011, Ferguson spent big by signing defender Phil Jones from Blackburn and winger Ashley Young from Aston Villa for around £17 million each, and goalkeeper David de Gea from Atlético Madrid for around £19 million. In January 2014, Ferguson was appointed as the UEFA Coaching Ambassador, and said it was "an honour and a privilege" to be given the role. 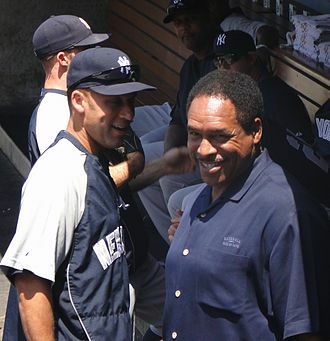 In April 2014, it was announced that Ferguson would be taking up a "long-term teaching position" at Harvard University, where he would be lecturing on a new course titled "The Business of Entertainment, Media and Sports". This came six months after he revealed his blueprint for success was included in the Harvard Business Review in a series of interviews with Anita Elberse. His third book, Leading: Learning from Life and My Years at Manchester United, was published in collaboration with billionaire venture capitalist, author and former journalist Michael Moritz in August 2015. 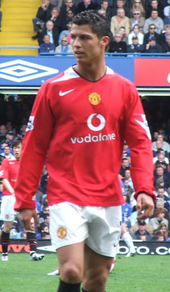 In 2003, Ferguson was involved in a dressing room argument with United player David Beckham. Ferguson allegedly kicked a football boot in frustration, which hit the player in the face and caused a minor injury to Beckham. In 2003, Ferguson launched legal action against the then major United shareholder John Magnier over stud rights for race horse Rock of Gibraltar. Magnier counter-sued Ferguson by filing a "Motion to Comply" requiring Ferguson to substantiate his claim for half of Rock of Gibraltar's stud fees. The legal issues were further compounded by the request for "99 Questions" to be answered over Ferguson's transfer dealings, including those of Jaap Stam, Juan Sebastián Verón, Tim Howard, David Bellion, Cristiano Ronaldo and Kléberson. 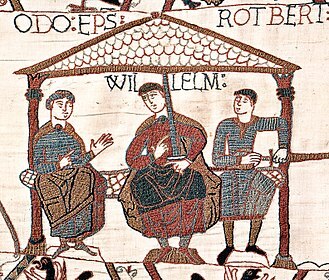 The case was eventually settled out of Court. Ferguson refused to give interviews to the BBC after a documentary called Fergie and Son was shown on BBC Three on 27 May 2004. 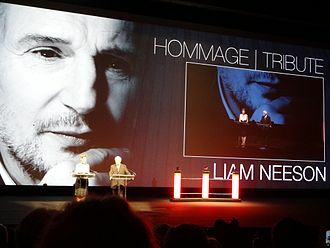 According to an article in The Independent newspaper, the documentary had "portrayed his agent son, Jason, as somebody who exploited his father's influence and position to his own ends in the transfer market". The same newspaper article made it clear that "Ferguson Jnr" was never found guilty of any wrongdoing, and it quoted Ferguson Senior as follows: "They [the BBC] did a story about my son that was whole lot of nonsense. It all [sic] made-up stuff and 'brown paper bags' and all that kind of carry-on. It was a horrible attack on my son's honour and he should never have been accused of that." Subsequent interviews on BBC programmes such as Match of the Day were done by his assistant Carlos Queiroz, and later Mike Phelan. Under new Premiership rules intended for the 2010–11 season, Ferguson was required to end his BBC boycott. However, he refused to end his boycott and Manchester United confirmed the club would pay the resulting fines. On 25 August 2011, Ferguson met with BBC director general Mark Thompson and BBC North director Peter Salmon; the result of the meeting was that Ferguson agreed to end his seven-year boycott. It has also been suggested that Ferguson's intimidation of referees results in so-called "Fergie Time": that is, unusually generous injury time being added in matches where Manchester United are behind. The phrase is at least as old as 2004, but the concept first appeared on 10 April 1993 when Steve Bruce scored a 97th minute goal (seventh minute of injury time added on by the referee) against Sheffield Wednesday to win the game for United: they went top of the league with this win and remained there until the season ended. 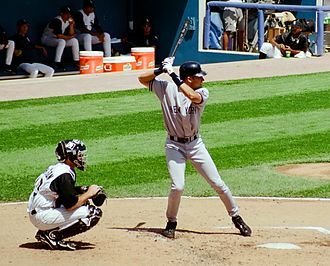 The concept would crop up in the media (and by opponents) whenever games seemed to be having more injury time than expected. A statistical analysis by The Times suggests that this concept might be valid, though the article points out that other footballing criteria may explain the correlation between extra added time and United being behind. Analysis by Opta Sports of Premier League matches played between 2010 and 2012 found on average that 79 seconds more time was played in matches where Manchester United were losing. This was a greater figure than for other top clubs, although most of these clubs seem to benefit from a "Fergie Time" effect, particularly in their home matches. During games Ferguson would also stare at his watch, often in the sight of the referee, to make clear he sees the opposition as time wasting. 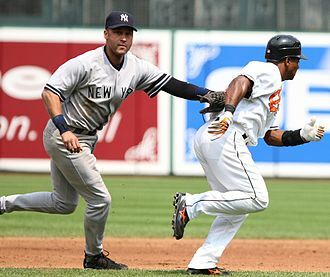 If he deemed there was too little time being added on he would also stare at his watch. 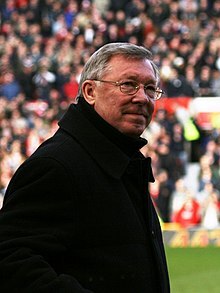 Many of Ferguson's former players have gone on to become football managers themselves, including Tony Fitzpatrick, Alex McLeish, Gordon Strachan, Mark McGhee, Willie Miller, Neale Cooper, Bryan Gunn, Eric Black, Billy Stark, Bryan Robson, Steve Bruce, Mark Hughes, Roy Keane, Paul Ince, Chris Casper, Darren Ferguson, Ole Gunnar Solskjær, Henning Berg, Ryan Giggs and Gary Neville. 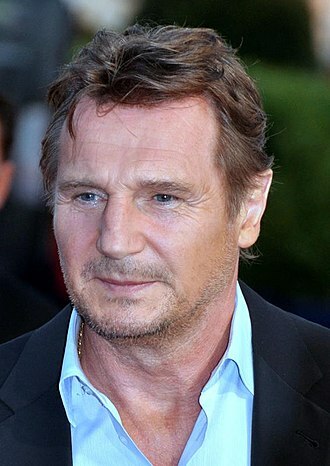 Ferguson lives in Wilmslow, Cheshire with his wife, Cathy Ferguson (née Holding). They married in 1966 and have three sons: Mark (born 1968); and twins Darren (born 1972), who was also a professional footballer and is currently manager of Doncaster Rovers; and Jason, who runs an events management company. During the 2014 Scottish independence referendum, Ferguson supported the Better Together campaign for Scotland remaining a part of the United Kingdom. He criticised the Scottish Government, and First Minister Alex Salmond, for their decision to exclude Scots living outside Scotland, but within the rest of the United Kingdom, from voting in the referendum. He also objected to the self-imposed rule by the Yes Scotland campaign against accepting donations from people living outside Scotland of more than £500, which they urged the No campaign to also adopt. The Scottish League XI was a representative side of the Scottish Football League. 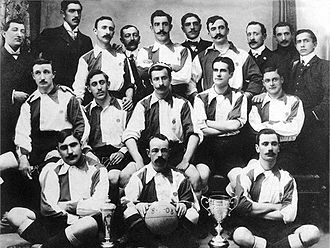 The team regularly played against the Football League and other national league teams between 1892 and 1980. 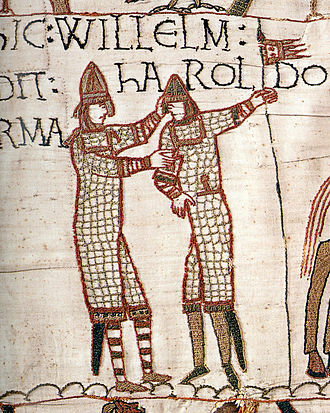 For a long period the annual fixture between the English and Scottish leagues was only second in importance to the matches between the two national teams. The fixture declined in importance after regular European club competition was instituted in the 1950s, a match involving a Scottish League XI was last played in 1990, to mark the centenary of the League. Soon after the creation of the Scottish Football League in 1890, an Anglo-Scottish league match was first played in April 1892 at Pikes Lane and ended in a 2–2 draw. The first Football League team contained Scottish players and this practice did not continue, however, as Scots were not selected for the Football League again until the 1960s, by when the match was declining in importance. A return match was played at Celtic Park in April 1893, in the same year, the Scottish League played its first match against the Irish League XI, in Belfast. 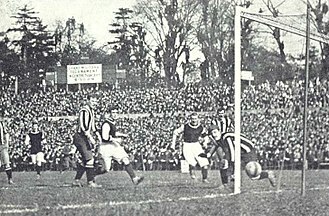 The increased importance of the Southern League was reflected when a fixture was played between the Scottish League and the Southern League for the first time, at Millwall in October 1910, the Southern League won both that fixture and a match against The Football League in the same year. These matches continued until the First World War, after which the Southern League was absorbed into the Football League, the SFL defended their right to use the term in Scottish advertising of the fixture. The Scottish League team was always at a disadvantage compared to the Scotland national team many of the better Scottish players were contracted to English clubs. Despite this handicap, the Scottish League team performed well before the fixtures were stopped due to the First World War. Their birthplace meant that they were ineligible to play for the national team, despite these efforts, the Scottish League team suffered heavy defeats against the Football League in 1928 and 1930. 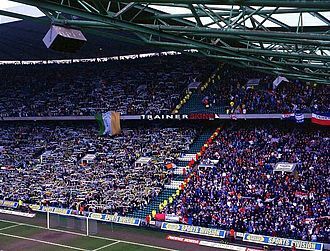 The match continued to be played because the fixtures in Scotland were well attended, the higher attendances in Scotland reflected the greater interest in the fixture there. East Stirlingshire Football Club is a Scottish association football club based in the town of Falkirk. 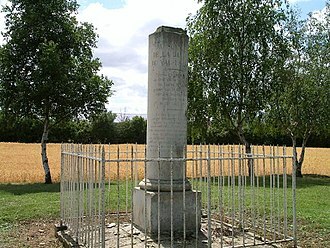 The club was founded in 1881 and competes in the Lowland Football League, the clubs origins can be traced to 1880 when a local cricket club formed a football team under the name Britannia, based in the village of Bainsford. 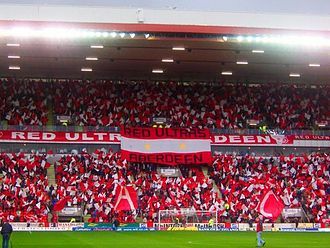 The club was elected to the Scottish Football League in 1900–01 and has competed in the system for most of its existence. East Stirlingshire has won the tier of Scottish football once and finished runners-up once. 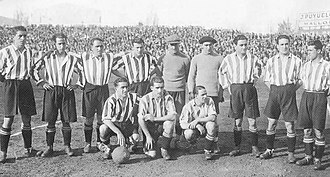 The clubs highest league ranking came during the two seasons it competed in the top flight in 1932–33 and 1963–64. In 2016, East Stirlingshire became the first club ever to be relegated out of the league system. East Stirlingshire first entered in the Scottish Cup in 1882, its best result reaching the quarter-finals on three occasions, the last in 1981. 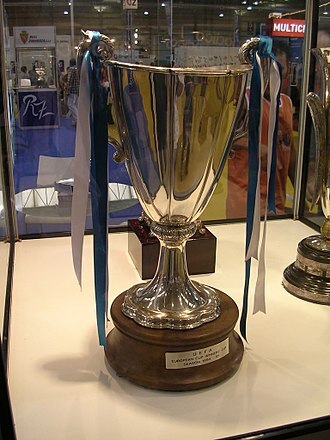 The clubs best result in a cup competition was in the 2000–01 season when it reached the semi-finals of the Scottish Challenge Cup. In 2008, the club left Firs Park and moved to Ochilview Park to ground-share with local rivals Stenhousemuir, the clubs nickname is The Shire, which refers to the Stirlingshire part of the club name. In December 1883, the Stirlingshire Football Association was founded, with open to clubs exclusively from the county of Stirlingshire. 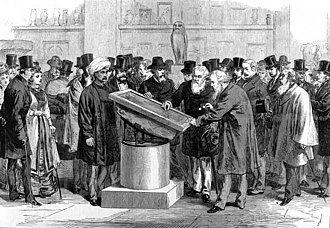 It resulted in the establishment of a new tournament called the Stirlingshire Cup. 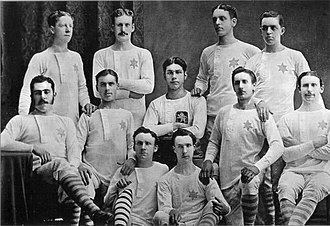 East Stirlingshire dominated the tournament in its years, winning it for a record four years in a row between 1885 and 1889, including an emphatic 9–0 victory against Falkirk in the 1888 final. Two goals came from Lawrence McLachlan who was an influential goalscorer in the early successes. The latter years of the 19th century was East Stirlingshires most successful era in the Scottish Cup, in the 1888–89 and 1890–91 tournaments, the club reached the quarter-finals in what was to be the last time for 91 years, losing to Celtic and Hearts respectively. It was during this period that four East Stirlingshire players earned caps for their countries. Celtic Park, pictured in 1894. The ground hosted the first home game played by the Scottish League XI, in 1893.